The past week has meant two of the funnest interviews our CEO, Sabrina Parsons, has ever been a part of. First, on Friday, she was featured in The New York Times “Corner Office” interview series. Then, our own Senior Ecommerce Manager, Brandon Lagasse’s daughter Jesslynn graced our offices with her insanely cute and quite professional self in order to interview Sabrina as part of a larger class project she’s working on for her 3rd grade class. 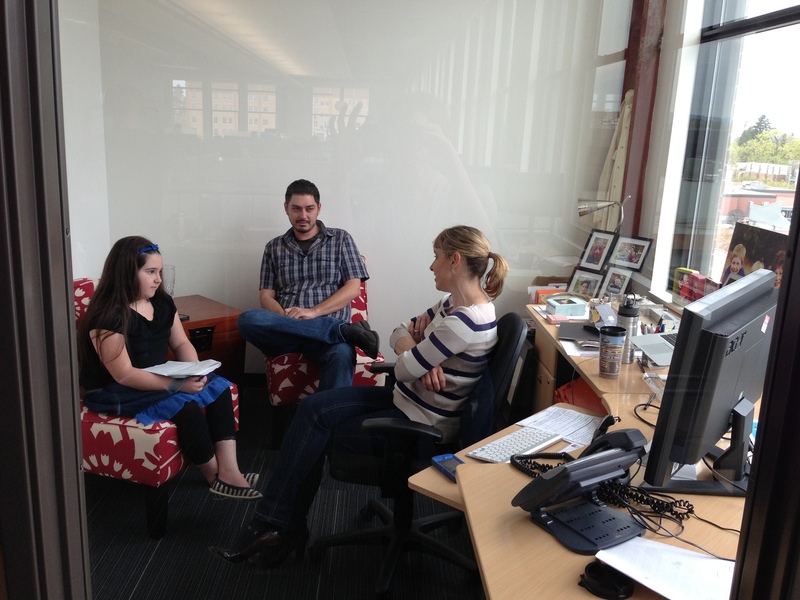 Sabrina answers questions about leadership and running a company, posed by 3rd grader Jesslynn for a school project, while her dad proudly looks on.